Those of you who had a jailbroken iOS 6 device back in the good old days would remember a tweak called Zephyr. At that time it was a revolutionary tweak that enabled iOS device users to quickly get to the homescreen or instantly get from one app to another by simply swiping their finger. Unfortunately the gesture based tweak wasn’t updated for iOS 7 and was eventually replaced by more advanced Auxo that offered easier way of getting to the homescreen in addition to a range of other functionalities. Now a new tweak called Tage has been released bringing Zephyr tweak to life. Tage works exactly like the old Zephyr hack, allowing users to get to the homescreen by simply swiping up their finger. Another great functionality of the tweak is that it makes it possible for users to jump from one running app to another by swiping from right to center or left to center on their screen. You can swipe on either side to access the next running app. 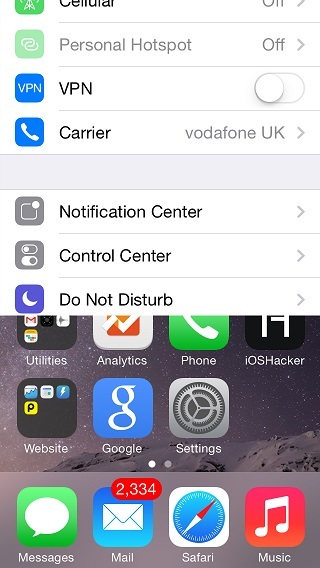 To access the app switcher screen you can swipe up on the app and hold for a second. On the homescreen you don’t even need to hold as app switcher will appear directly once you swipe up. That’s not all as Tage has some hidden features that may go unnoticed. On the app switcher screen you can pull down an app’s preview card to bring a number of options that include quit all apps, quit background apps and quit all other apps than the one whose card you pulled. 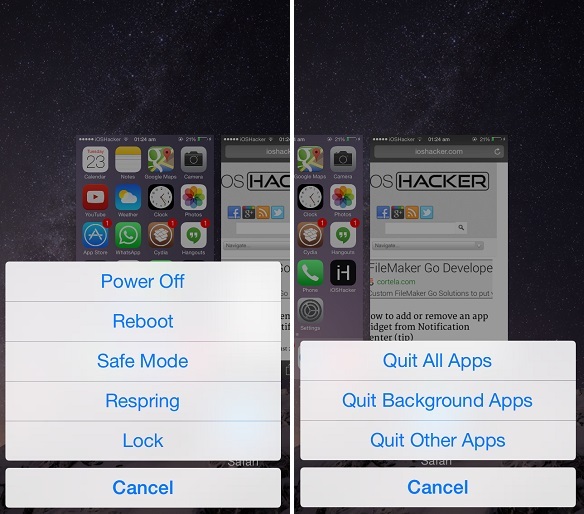 Another cool feature allows you to get a menu that has power off, reboot, safe mode, respring and lock options when you pull down the homescreen card on the app switcher. Tage is a nice addition to Cydia and its release will make many users happy who were waiting for the release of Zephyr for iOS 7. We hope Tage will be updated for iOS 8 as soon as its jailbreak is publicly released. The only disadvantage of this tweak is that it disables the Control Center without offering any alternative way of accessing it. You can get Tage tweak from the BigBoss repo for $1.99. It also offers a 3 day free trial so you can try the app before buying. It requires iOS 7 to run and supports all devices.